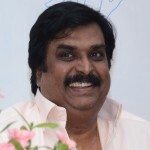 D.Rambabu was born in Tirupathi, the foot hills of Tirumala. His father D.V.Chari has worked as an Executive engineer in TTD Tirumala for more than 3 decades. he belongs to an orthodox vaikhaanasa priest family who performs daily pooja in tirumala temple. He has completed his graduation from S.V.University, Tirupathi. He did 3 years articles in Chartered Accountancy. He did his Post graduate diploma in Personnel Management and Industrial Relations. In 2012, at the age of 53. he has submitted thesis on Hospital management to the University in USA and he was awarded Phd. in Malaysia. He was honored with Mother Teresa award in 1998. He has received a memento from the president DR.Abdul kalam in 2003 for his active participation in establishing a cancer unit at Vijaya health centre. He was awarded THE HERO OF INDIA by AHPI,New Delhi in 2016. He is not only an administrator he is also author of many books. He received appreciations from Then the President of India Dr.APJ.Abdhul kalam , Dr. Rajasekar Reddi, former CM of AP and former CM of Tamilnadu ,Dr.Karunanidhi, for his book Medical Dictionary Received appreciations From Sri.Chandrababu naidu ,CM of AP and Sahithya Accadamy for Lord shiva the symbol of perfect CEO And from the governor of tamilnadu Dr.Rossiah for the book Atma pariseelana(telugu). His book on hospital administration, published by JP publications, was translated even in Russia and China.